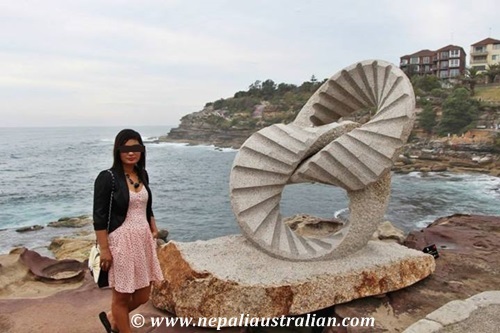 Like every year, hubby and I decided to go for a walk to see sculpture by the sea. However, this year, we decided to go for a sunrise instead of in the afternoon. The night before, we went to bed early to wake up at 4.00am. AS woke up and tried to wake me up but I couldn’t. Instead, I woke up at 5 am and realise that we are goona miss the sunrise. 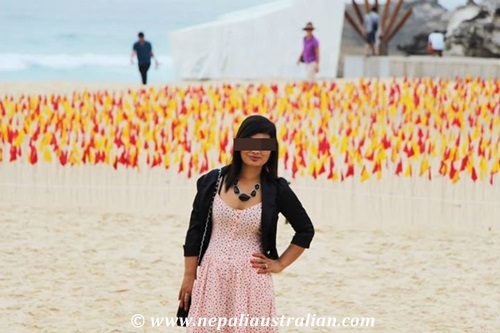 Anyway, we got ready and reached Bondi beach. I thought it would be easy to get parking so early in the morning but to our dismay, we have to park farther away from the beach as we couldn’t find one nearby. When we got there we realise that it was so cloudy, the sun had decided to hide behind the clouds so even though we had been there at 5:40am, we would still have missed the sunrise. Nevertheless, we enjoyed the walk. I’m sharing some of the photos from the day. 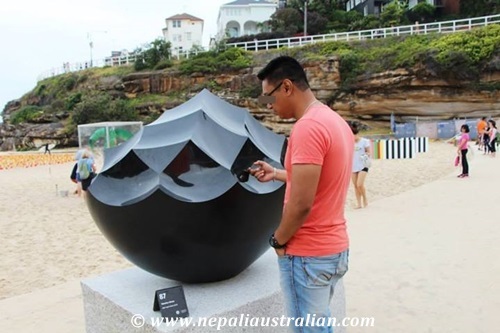 Sculpture by the Sea is staged along the Bondi to Tamarama coastal walk. The coastal walk begins at the bottom of Notts Avenue, which runs off Campbell Parade, Bondi. The coastal walk can also be accessed by stairs at various points along the exhibition route at Hunter Park, Gaerloch Avenue and Pacific Avenue. 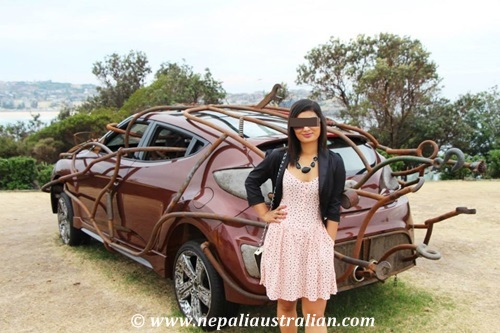 The exhibition finishes at Tamarama Park, Marine Drive, Tamarama. Like every year, they had some amazing ones and some fun ones and some weird ones. Enjoy the photos. 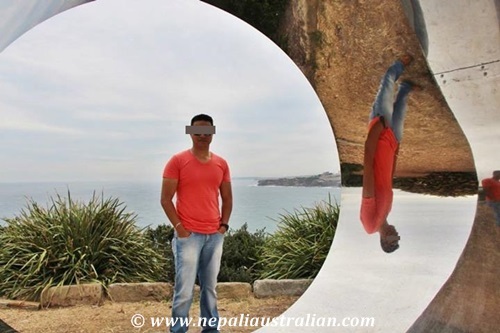 This entry was posted in Australia, NSW - Australia and tagged Art, australian, bondi, bondi beach, Bondi Beach New South Wales, Marine Drive, Nepali, nepali australian, Nepaliaustralian, Sculpture, sculpture by the sea, Sea Sculpture, Sydney, Tamarama, Tamarama New South Wales. Bookmark the permalink. 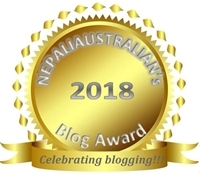 These were awesome and you did a great and fascinating post to share with us all! Thanks! Wow.. the pics are beautiful M.. I have never heard about this.. I want to see this.. Is it still on? ?